Model MAESTRIA IV (no. 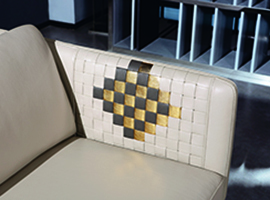 0546A) features the small square-shape genuine leather weaving (abbreviated as “square-weaving”) in the standard mono-color tone at the sofa arm interior. For Model MAESTRIA V (no. 0546B), the square-weaving feature goes beyond mono-color. 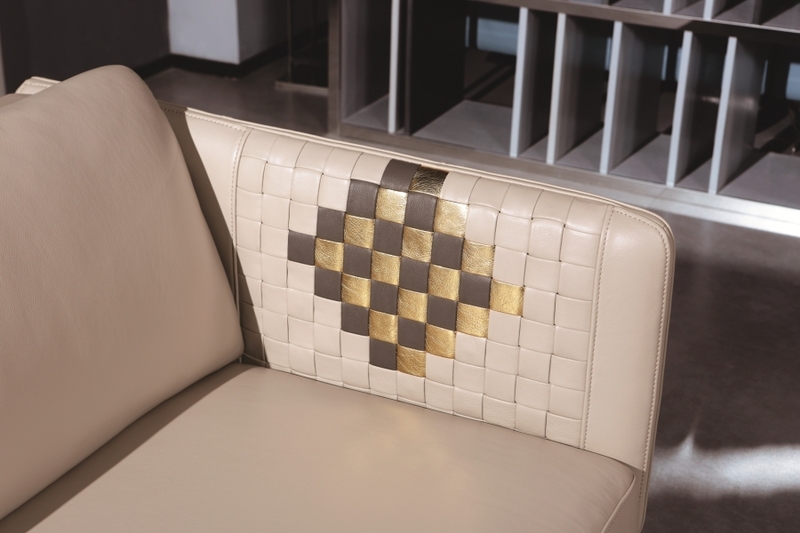 There are 3 different leather colors that constitute the dual-cross pattern which is a part of the square-weaving feature at the sofa arm interior. Optional stool (item no. 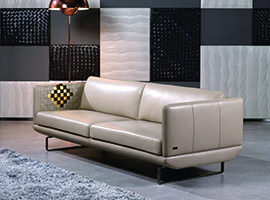 ST2) always comes with a design that matches the sofa seat front frame and legs.